This very special healing modality is brought forth to the United States through Church of Spiritual Light, with approval from the world-famous spiritual healer in Brazil, known as John of God. 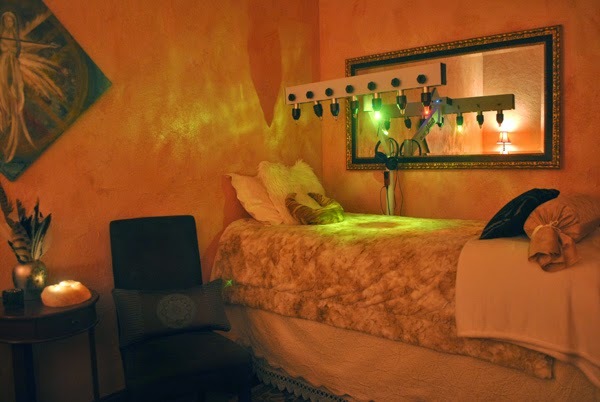 The crystal healing bed is connected with the energies of the Casa de Dom Inacio, including John of God himself, and the spirit healing entities of the Casa. 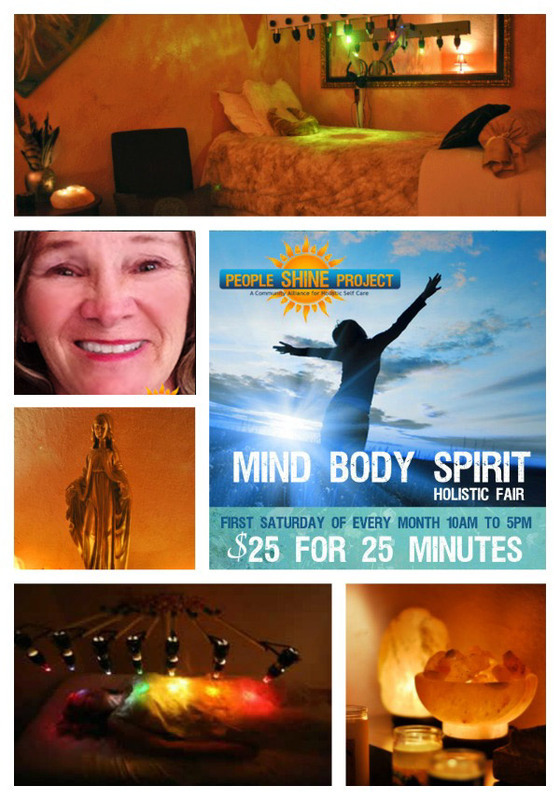 Our Healing Arts Studio offers a truly nurturing and powerful John of God Crystal Healing Bed experience. The healing studio walls are treated with pink Himalayan Sea Salt and the room is filled with salt lamps providing a very grounding and cleansing atmosphere to support the high vibrational work of the crystal therapy. Our physical and spiritual bodies are made from and are surrounded by energy. We store and create the energy inside us and around us and some energies create sickness and illness. For thousands of years, we have used crystal energy to amplify, heal and clear the energies in our bodies. There are over 60 references to the use of crystals in the Bible and hundreds more in ancient spiritual text and in all cultures throughout Earth’s history. Clients lie fully clothed on a massage bed, with a soft cloth over their eyes, and listen through headphones to their choice of meditation, journey, classical or brain entrainment music. 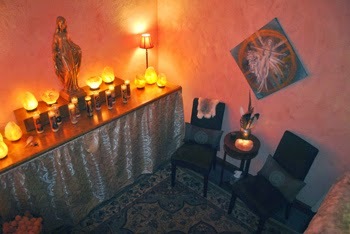 From start to finish the client is immersed in the healing energy of the combined forces of the John of God crystals, color and light therapy, the spiritual entities of the Casa, and the Himalayan salt ionization, all administered under the watchful eye of an intuitive healing practitioner. The John of God Crystal Healing Therapy process initiates a 50/50 partnership between the energetic forces of the crystal therapy and healing entities, and the clients own individual personal spiritual work. Many people, however, report spontaneous changes in lifestyle patterns, as well as opportunities to transform belief systems which are ready to be released. 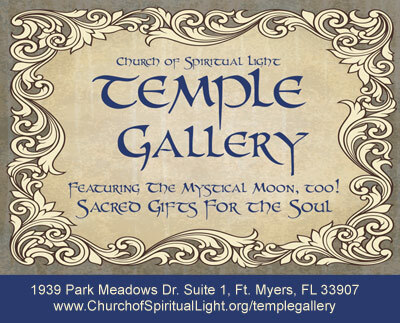 Personal spiritual work is supported at Church of Spiritual Light, as an ongoing part of what is provided to the community through the People Shine Project. The Crystal Bed has seven (7) water clear, highly polished Vogel cut quartz crystals suspended approximately 12 inches above the client lying on a massage table. Each crystal has been cut to a specific frequency and is aligned above one of the seven energy centers or chakras. Colored lasers, which match the frequency of the chakra colors, radiate light and energy through the crystals to each chakra system, clearing, balancing, and aligning the energy of each center. One explanation for the opportunity for healing through the crystal bed therapy is that the well-organized vibration resonating from the crystals helps to re-organize the water in the tissues and cells of the body, allowing the body's own innate powers of healing to begin. 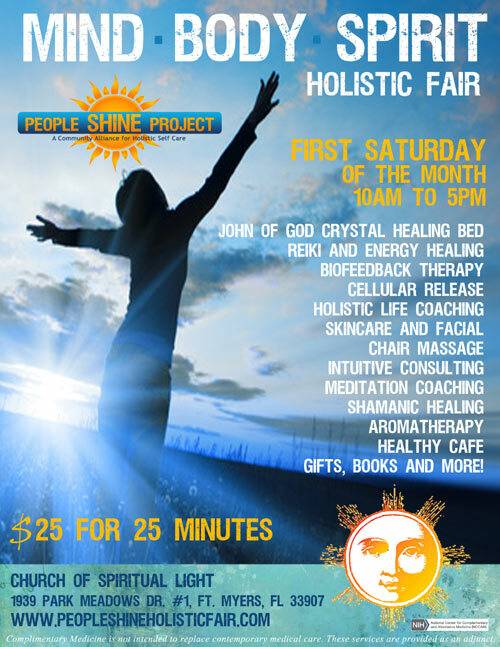 We will be offering 25 minute sessions for $25 on the John of God Crystal Healing Bed during the People Shine MIND-BODY-SPIRIT Holistic Fair. Candie Sanderson is a Psychologist who has traveled the spiritual path for many years. 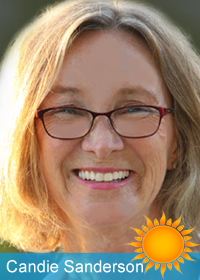 She is a Reiki Master and a practitioner of ThetaHealing® and Seraphim Blueprint®. She is offering sessions on the Crystal Light Bed from John of God in Brazil. While you rest in a comfortable position, listen to Hemi-Sync® music and let the alternating crystalized lights of the John of God Crystal Bed balance your energy body. The colored lights are aligned with your primary chakras through special Vogel-cut® quartz crystals. The bed can become a powerful spiritual and energetic tool, working on physical, mental, emotional, and spiritual levels. The lights are said to work as a portal for the benevolent spirits of John of God to assist in your session. While relaxing, you will be listening to Hemi-Sync® music, a patented technology from The Monroe Institute with over 50 years of research and development. Using layered audio signals embedded in the sounds, the two hemispheres of the brain become synchronized. When listening through stereo headphones, your brain produces a third sound called a binaural beat. This beat produces a whole brain state known as hemispheric synchronization or Hemi-Sync® for short because hemispheres work together in a state of coherence—an prerequisite state for expanded awareness and healing to occur.